If you've seen an Internet ad for capacitor-type power factor correction devices, you might be led to believe that using one can save you money on your residential electricity bill. 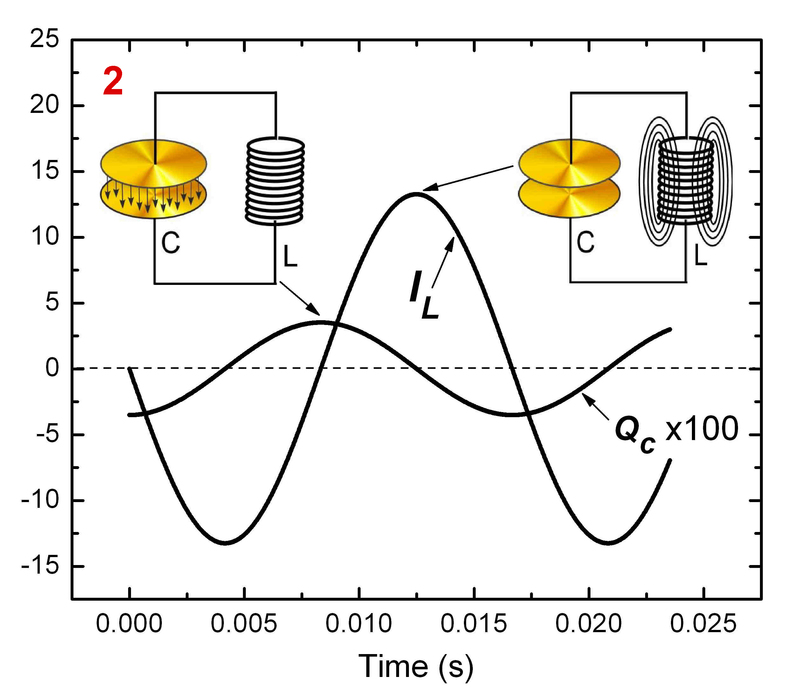 However, a team including specialists at the National Institute of Standards and Technology (NIST) have recently explained* why the devices actually provide no savings by discussing the underlying physics. 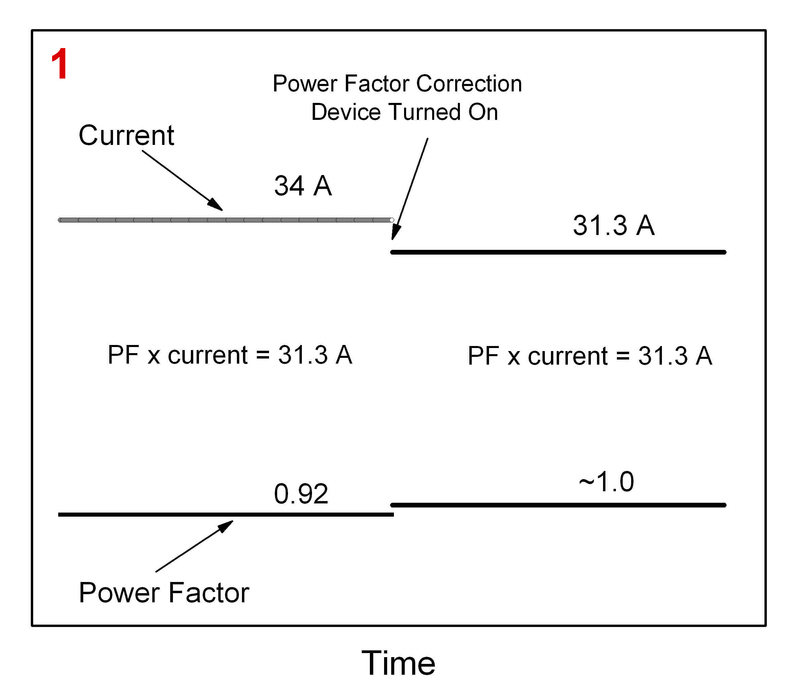 Power factor correction devices have no effect on a typical household electric bill because of the relationship shown hereactivating the device reduces the current drawn from a power line but simultaneously increases the power factor. Electric bills are based on the product of the two, which remains the same. Power factor correction in operation. Current from the power line is reduced by introducing a charge, QC, on a capacitor (C), and creating an oscillating charge or current, IL, between the capacitor and the inductive load, such as a refrigerator. The devices—sometimes referred to as Amp Reduction Units or KVARs**—are touted as good investments because they reduce the amount of current drawn from power lines while simultaneously providing the necessary amount of current to appliances inside the house. Though engineers elsewhere have discredited the devices for use in typical residences already, NIST physicist Martin Misakian and two of his colleagues decided to write a brief primer describing the devices' inner workings for readers who are not power engineers, but who still have some technical background. "One of the important functions of our primer is to remove the mystery of how current from the power line can decrease while at the same time current going to an appliance remains the same," says Misakian. The nine-page Technical Note explains this result in terms that might interest readers with knowledge of college-level physical sciences. It shows that although the devices can indeed reduce current flow from the power line, it is not just the current flowing from the power line that determines your electric bill, but the product of the power factor and the current. Though current decreases with a power factor correction device, the power factor increases correspondingly, meaning the product of the two remains the same—with or without the device. Because a residential electric bill is proportional to this product, the cost remains unchanged. Power factor correction devices have some use, though. The authors point out that while they will not reduce the average homeowner's bill, they may benefit the environment. When electricity travels from a local transformer to a residence, some power is lost due to electrical resistance. But because a utility would need to supply less current to a residence that employs a power factor correction device, these losses would decrease—thus potentially reducing the amount of greenhouse gases a fossil fuel-burning utility would emit. But while the primer does provide a rough calculation of a utility's savings by considering the operation of a residential air conditioner, Misakian says readers must investigate the details of these options for themselves. "If homeowners wanted to help reduce the amount of carbon dioxide produced, they could install a device," Misakian says, "but they would also have to consider the greenhouse gases generated during the fabrication of the device itself." * M. Misakian, T.L. Nelson and W.E. Feero. Regarding Electric Energy Savings, Power Factors, and Carbon Footprints: A Primer. NIST Technical Note 1654, online at http://www.nist.gov/customcf/get_pdf.cfm?pub_id=903669. ** From "kilovolt ampere reactive," a unit used to measure reactive power.